Enterprise IT decision-makers predict that more than 40% of their workloads will be running on public cloud platforms by 2020. The question is not whether to move apps to the public cloud; it is more about which apps to move and how to move them without risk. For most enterprises, the big issues with moving to the public cloud have little to do with developing new cloud-native applications and everything to do with migrating legacy mission-critical apps such as Oracle, SAP and Microsoft SQL Server. As described by the research firm Frost & Sullivan: As enterprises have launched their cloud strategies over the past decade, they have left key applications untouched, with plans to tackle them at a later date. The need to support line-of-business technology investments. The drive for IT flexibility, maximizing the time and costs associated with traditional IT maintenance activities. The need to accelerate access to new technologies, such as artificial intelligence, blockchain and in-memory databases like SAP HANA. It is entirely understandable why enterprise IT decision-makers have been hesitant in the past to move their mission-critical applications to the public cloud. It is still a relatively new model, and enterprise IT teams have had viable concerns about losing control over performance, costs, security, reliability, availability and regulatory compliance. They needed experience in understanding how public cloud deployment works—for example, the cloud’s shared responsibility model for security and compliance. By using public cloud for new cloud-native applications, they have been able to gain that experience and address some of the pitfalls that could have doomed mission-critical migrations, such as cloud sprawl and the risk of creating data and workload silos. Beyond that, enterprise IT also needed the assurance that they were working with public cloud providers that understood the huge difference in providing services for new cloud-native applications versus the needs of mission-critical applications for enterprise companies. One more gaiting factor in modernizing mission-critical using the public cloud: These applications are deeply embedded in the organization’s operations and culture, with existing infrastructure, skill sets, processes and investments. Most IT decision-makers want to—and need to—modernize these applications without having to start from scratch. There is now a direct path to modernizing mission-critical applications in the public cloud, particularly for organizations that are already using VMware solutions in their on-premises data centers. This path leverages the close partnership between VMware and IBM, offering a suite of VMware-based infrastructure environments within the broader IBM Cloud. A range of VMware options, allowing IT teams to select their preferred level of automation and flexibility. Complete access to the VMware stack, including administrative and root access to vCenter Server. Configuration options to optimize the server hardware for the workload. Access to an integrated set of software solutions from partners, covering commonly needed enterprise IT use cases such as disaster recovery, backup and security. Access to the broader IBM Cloud services portfolio, including Watson for artificial intelligence and cognitive services. GPU-integrated servers and rich services for emerging cloud-native architectures. A secure and compliant IT environment enabled by deep expertise and investments with IT security and compliance needs at enterprises. 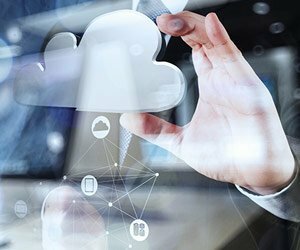 The pressure for IT to modernize mission-critical applications in the cloud is mounting as we head into 2019. Business leaders are demanding it and IT decision-makers are prioritizing it. While there has been legitimate reason to hesitate in the past, leading enterprise cloud providers have been able to strip the barriers to entry one by one. Now enterprises have the opportunity to migrate mission-critical apps to the cloud with minimal disruption, less risk and a greater opportunity to quickly reap the myriad benefits of the cloud era. Here’s how to get started. Visit IBM Cloud to get started.